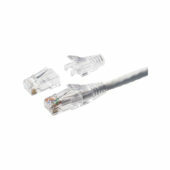 ONE field terminated RJ45 tool-less plug (male), category 6A, shielded, black. 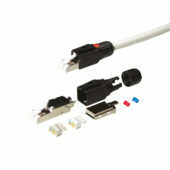 The Kordz Category 6a Shielded Field Termination RJ45 Connector offers easy, toolless termination and complies fully with ISO/IEC 11801 2.2 Edition Category 6a and ANSI/TIA-568-C.2 Category 6A standards for applications up to 10GBase-T Ethernet and frequencies up to 500Mhz. 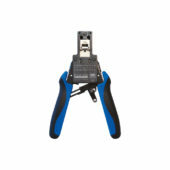 A high-end crimping tool designed to crimp or connect a connector to the end of Cat6 cable. 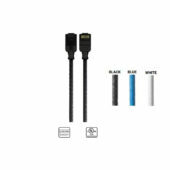 The Kordz PRO Series CAT6 Network Patch Cord is a highly flexible, slim-profile, stranded 28AWG copper patch cord ideal for the professional and custom installer/integrator. 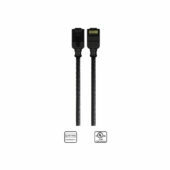 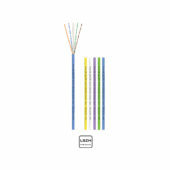 With a diameter of only 3.9mm, the PRO series network patch cord provides over 30% reduction in diameter when compared with conventional 24AWG patch cords.